Caribbean Airlines showcased its partnership as the presenting sponsor of Reggae Sumfest by unveiling the festival’s logo on one of its 737 aircrafts. From left are: Gabrielle Gonzales, Flight Attendant; Josef Bogdanovich, CEO, Downsound Entertainment and Producer of Reggae Sumfest; Garvin Medera, CEO, Caribbean Airlines; and Nychelle McNish, Flight Attendant. 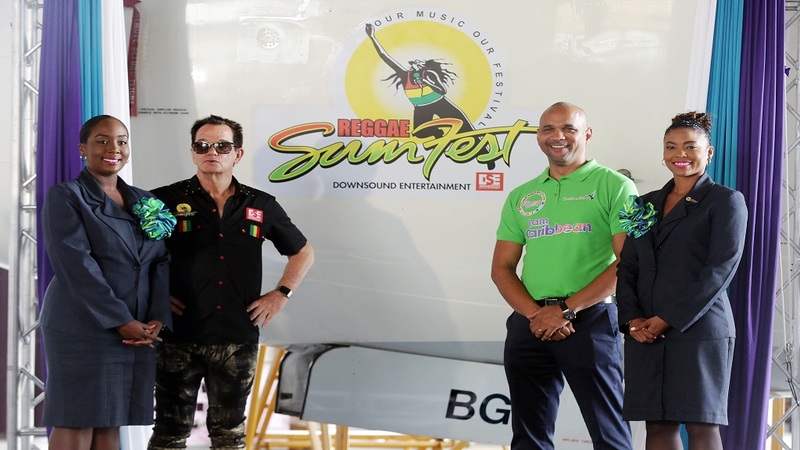 Caribbean Airlines recently unveiled the Reggae Sumfest logo on one of its 737 aircraft, to showcase its partnership as a presenting sponsor for the festival. The aircraft will fly across the airline's network of 20 destinations. 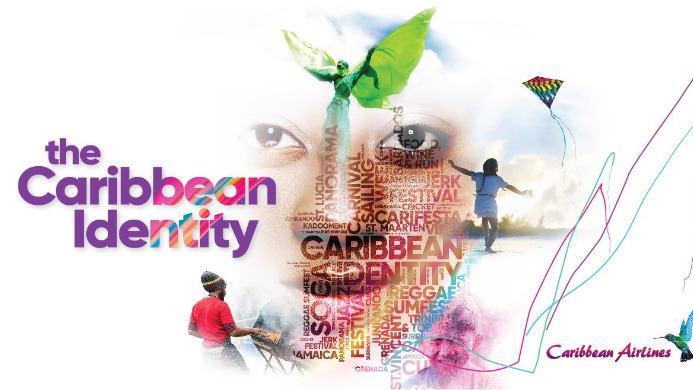 “As one the world's best reggae events, Reggae Sumfest is a perfect match for our new brand story, The Caribbean Identity, which is an affirmation of our shared heritage and culture. Music is a big part of the Caribbean, and our partnership with Sumfest is a perfect way for us to demonstrate how deeply we understand the passion points of the Caribbean,” said Garvin Medera, CEO, and Caribbean Airlines. “As Reggae Sumfest continues to chart a new course for Jamaican music, culture and festivals we couldn’t be happier to have a partner like Caribbean Airlines who will help take this brand to a new level,” said Joseph Bogdanovich, CEO, Downsound Entertainment, the festival’s producer. 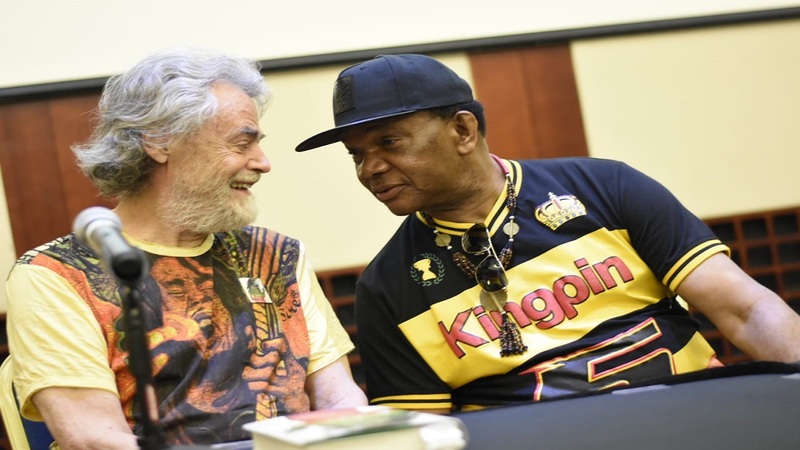 Over seven days from July 14 to 20, more than 40 of reggae and dancehall’s most celebrated performers will take the Reggae Sumfest stage at Catherine Hall and other venues in Montego Bay. Caribbean Airlines is offering a discount of 10 per cent off flights to Montego Bay and Kingston from select destinations - for customers who book by the 15th, April 2019, for travel between the 12th – 22nd July, 2019.